The Best Deal in the city as well. The newest Hostel Mostel is ideally located in the most CENTRAL area of Plovdiv, just across the Central Square, 5 minutes easy walk from the train and bus stations. We love our hostel so we are taking good care of it CLEANING all the facilities all day long, making sure everything is spotless. Brand new high standard bathrooms are waiting for you. We believe that traveling is about meeting people and having new experiences so we make the most comfortable, relaxing and enjoyable unique COMMON ROOM. Please note: The prices of 9.00 and less do not include food. For all of us being here is our way of enjoying our lives not just another work. We are just across the Central Square of Plovdiv. Less than 10 minutes walking from the central train and bus stations. With the train station on your back walk for about 100m straight ahead and you will see a roundabout. 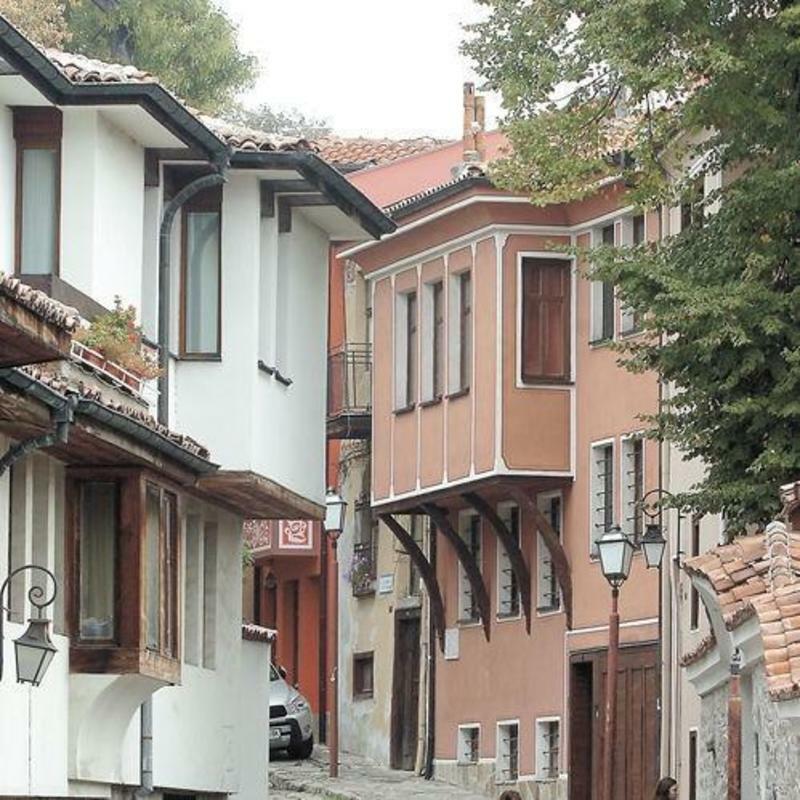 Take "Ivan Vazov" street (it is on your right) and walk for about 7 minutes straight ahead until the street seems to end. Walk straight for another 50 meters and you will reach the main square. 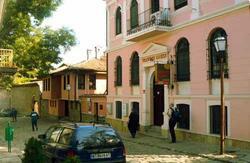 You will see the Central Post Office (Tsentralna Posta in Bulgarian) to your left with orange signs'VIVACOM'. To the right you will see a big hotel - 'Trimotium'. Keep walking. As you cross the square between these two buildings you will reach a boulevard. Use the underpass to get to the opposite side of the boulevard. As you walk out of the underpass there should be a glass building with a 'ОББ' sign on it and a restaurant called "Gremi". Take the street starting between these two buildings. The hostel is the fifth house to your left. Take bus (not valid for minibuses) No 1, 7 or 26 in front of the Central Train Station or in front of The South Bus Station ("Avtogara Yug", spelled in Bulgarian). You can buy the ticket on the bus. The price is 1.00 Leva. The direction is the Central Post office (Tsentralna Poshta, spelled in Bulgarian). The hostel is located on the same side of the road. 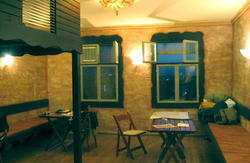 Look for a glass building with a 'ОББ' sign on it and a restaurant called "Gremi". Take the street starting between these two buildings. The hostel is the fifth house to your left. Taking taxi from the train or bus station is not recommended. If you take a taxi it should not cost more than 4 Bulgarian leva (2 euros) . The prices are listed on a white sticker on the back screen windows and all of them should be less than 1 Bulgarian lev.